To view the gallery in Vogue UK, click here. This was Zuhal’s third season bringing her GOT certified Eco collection to the runway at VFW and I knew it would be amazing. Silent Rainforest pays homage to Bali and the Amazon, highlighting the devastation of clear-cutting and celebrating all that is unique in these forests. The main fabric used is called Vegan Silk. It is processed from cocoons found in this type of environment without killing the pupae inside. 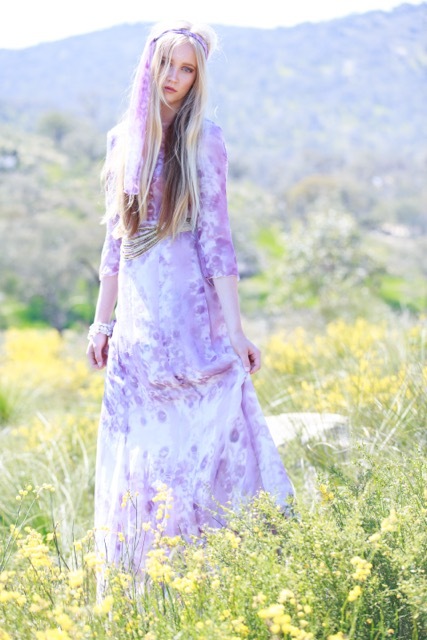 Next she was inspired by the unique orchids found here and began to experiment with different plants and spices to create their soft yellows, pinks and purples. She chopped up red carrots and beets, then sprinkled these vegetables on the silk along with berries and spices like turmeric – creating a look reminiscent of orchids as she went. Her background as an artist is clearly evident in how the feel of orchids was captured in the final looks. Continue reading here. 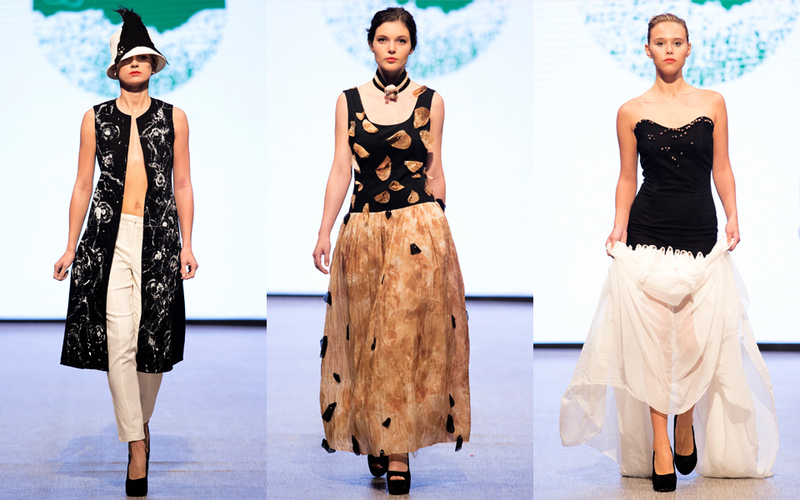 AS part of her plan to protect the earth’s animals and nature, Zuhal Kuvan-Mills has created a new 2016 Spring Summer collection that has once again embraced recycling, protection, nurturing and divinity. 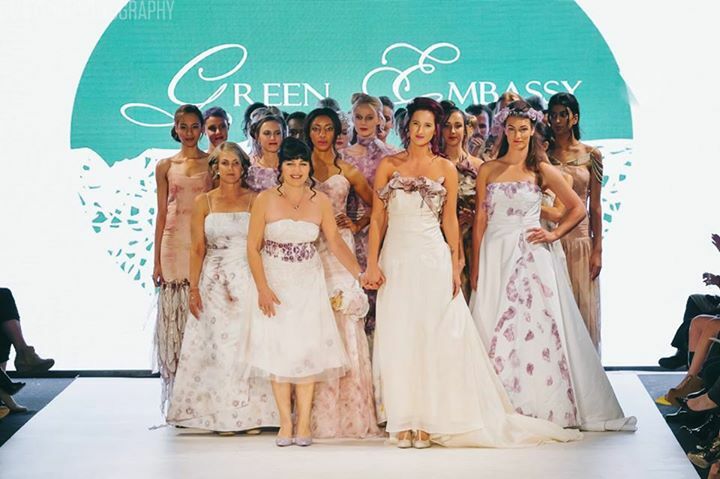 Her brand Green Embassy is Australia’s first internationally recognised organically certified fashion label. Her previous collections which have sold out overseas include eco-printed organic cottons, organically merino and alpaca wools embedded with eucalyptus leaves and fine dyed-silks. 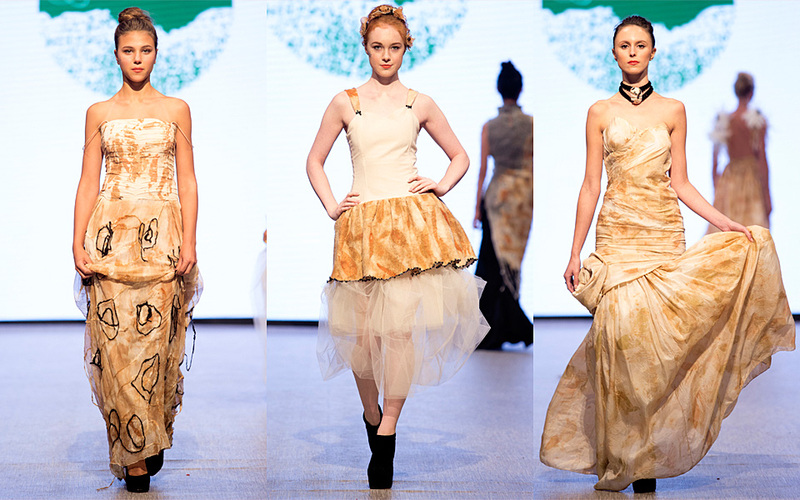 In this latest collection she uses flowers, plants and natural materials to help convey her message about the fragility and sensitivity of the world’s ecosystems. 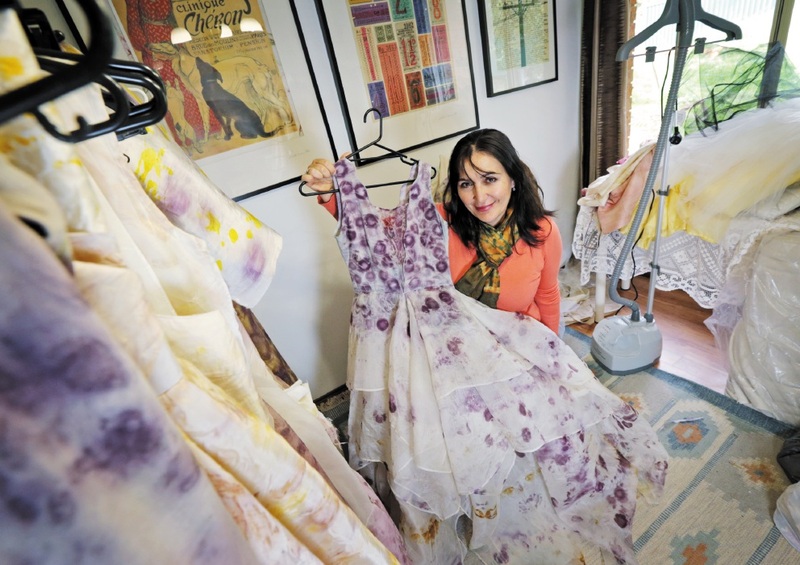 “This time my abstract eco-prints are made from hibiscus flowers, bougainvilleas, ferns, orchids, purple carrots, pomegranates, forest berries, beetroot, red cabbage and turmeric and the lotus,” she said from her home in Brigadoon. For the raindrops and dew, Kuvan-Mills has chosen bursts of Swarovski’s crystal, beads and glass which give the garments a 1920s edge of elegance, romance and sophistication. This season her colour palette is a feast for the senses with golds, creams, crimsons and violets. Delicate and subtle and also visually stunning, Silent Rainforest evokes the lightness of the rainforest canopy with its sea of ferns, mosses, trees, butterflies, colourful birds and flowers. Kuvan-Mills said much of her inspiration had come from the 1962 classic Silent Spring, a book by Rachel Carson which is widely regarded as launching the modern environmental movement. Read more here. Green Embassy gets featured on Channel 7 TV Today Tonight show. Ten minutes later a curious woman approached and asked me a question about something which I do not remember now but we started talking and found we had a common interest in animal welfare and rescue groups – her in Turkey and myself in Greece, the environment and healthy eating. She was charming with her accent and the rest, as they say, is history. 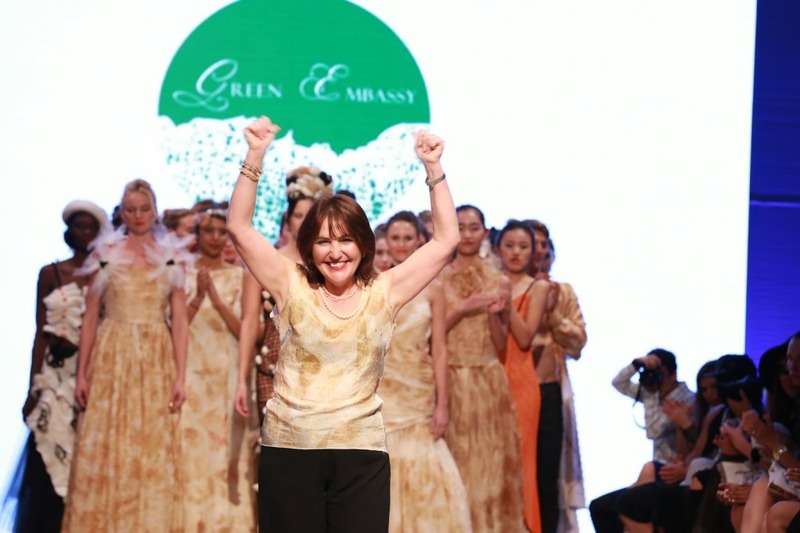 She was Zuhal Kuvan-Mills of Green Embassy and I was taken with her drive and her fantastic life story. We talked forever and I even modeled one of her gorgeous cruelty-free organic dresses off the runway and in many photos that evening. It’s no wonder Vancouver Fashion Week gave the closing honours to this show. 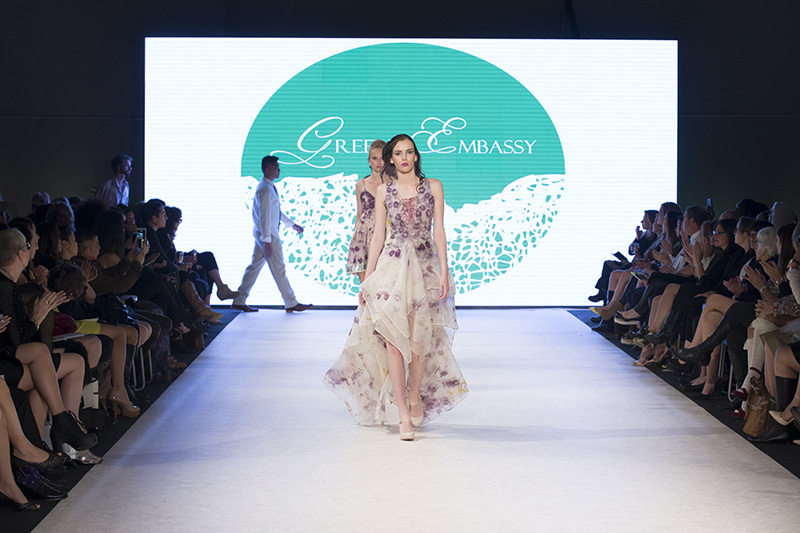 Green Embassy embodies the spirit of sustainability and ecostyle and transforms it into couture fashion that anyone can appreciate. 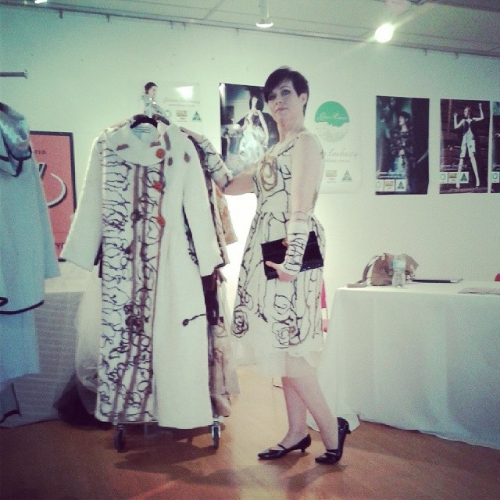 I anticipate to be seeing much more from this amazing beacon of organic fashion.